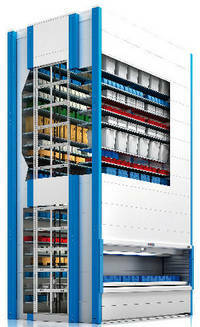 Vertical Lift Modules (VLM) are vertically arranged trays in an enclosed system. 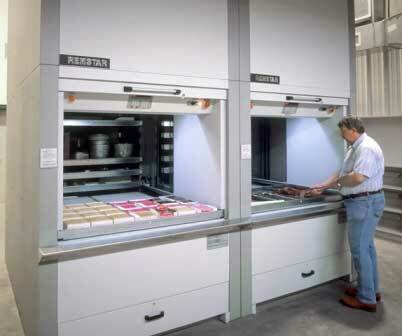 Computerized controls deliver the trays with the stored parts to an ergonomic work counter so the operator can pick or replenish the part. 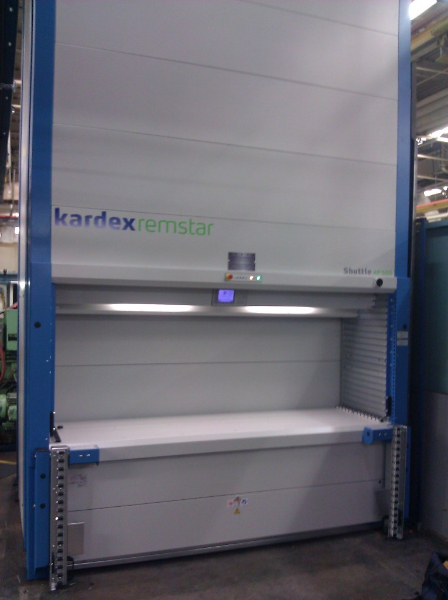 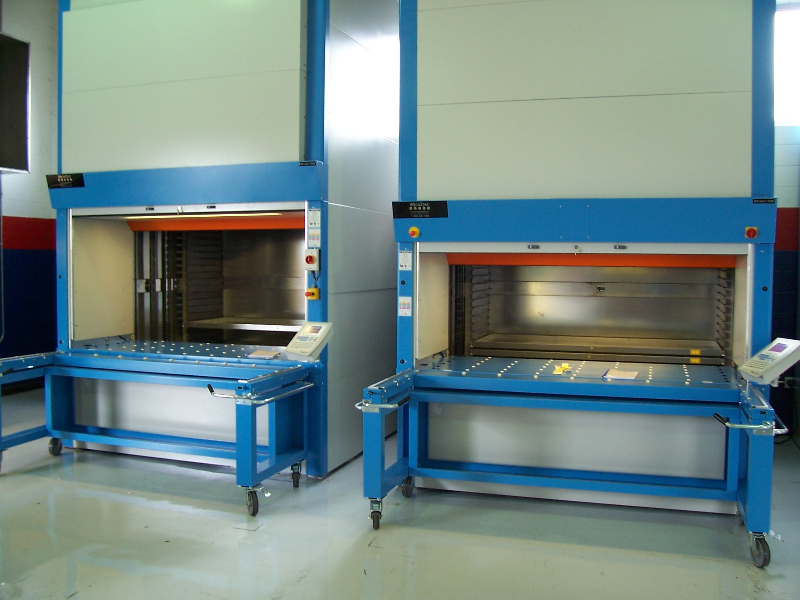 These automated parts storage machines will locate and retrieve the trays from anywhere in the unit with just the push of a button or scan of a barcode. 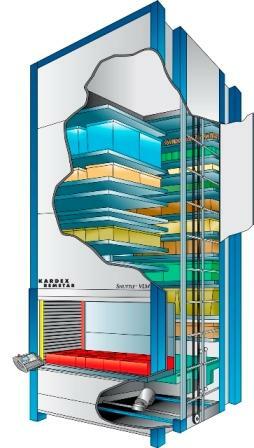 The Vertical Lift Modules use cube utilization technology within each unit to maximize storage density. 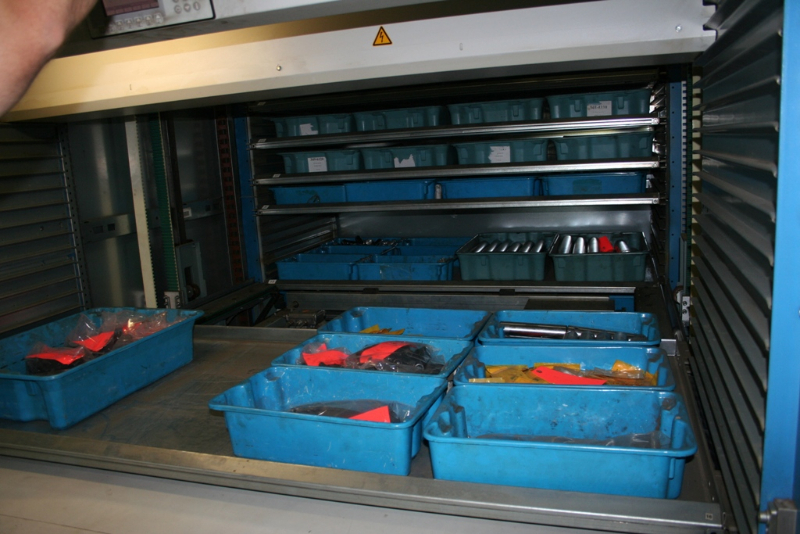 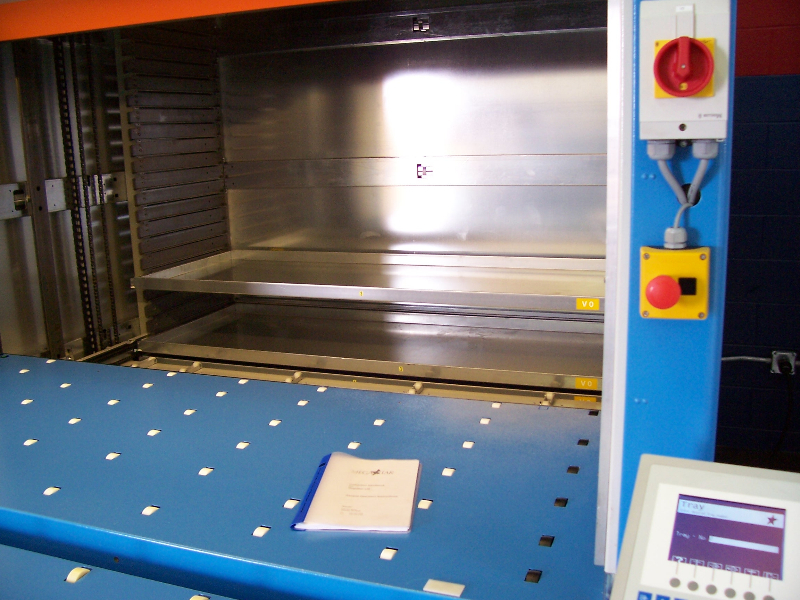 The VLM calculates the size of each tray as it is put away to store it in the least amount of space required. 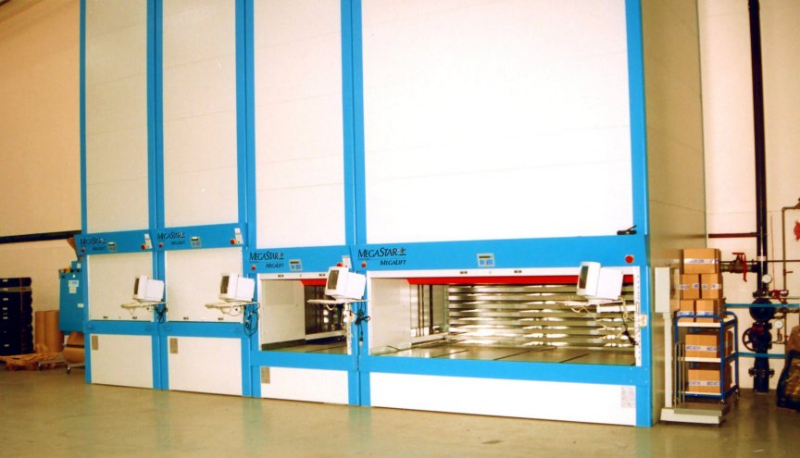 Also because the automated parts storage machines extend vertically, they convert unused overhead space into productive storage space. 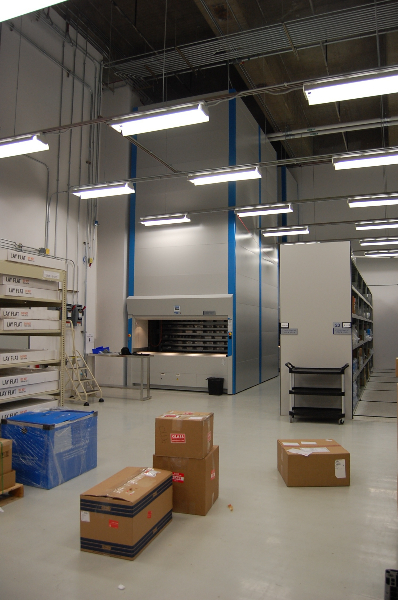 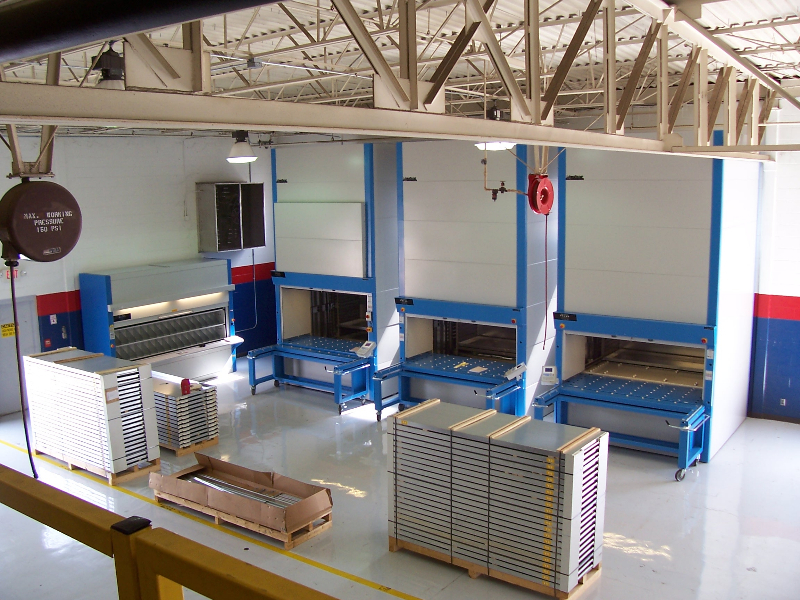 Vertical Lift Modules store the same amount of parts and inventory as traditional bin shelving in 70% less floor space. 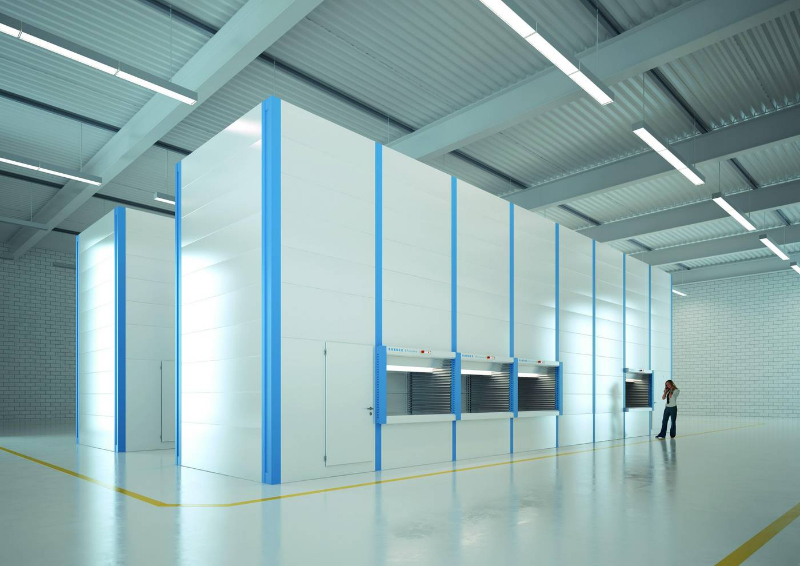 Because Vertical Lift Modules use less floor space, you can build smaller buildings or lease less warehouse space, which saves energy and money on heating, cooling, and lighting your facility’s parts storage area.